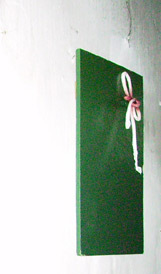 I made new text and repainted this in 2016. 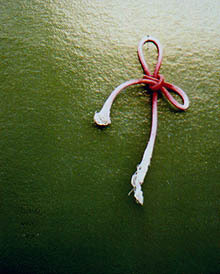 A piece of cord painted in gradual shades of red to pink to white hangs from a pin, on a soft board, painted in gradual shades of green. 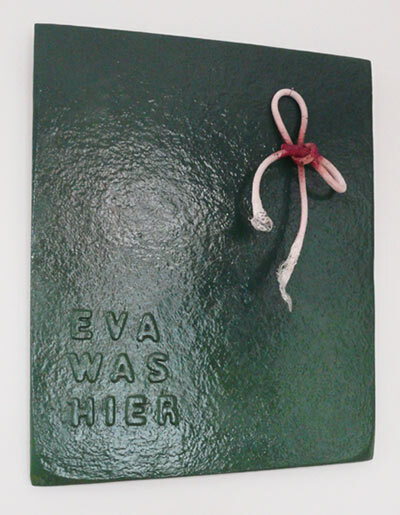 The words, ´Eva was hier´, are pencilled in at the bottom of the board. 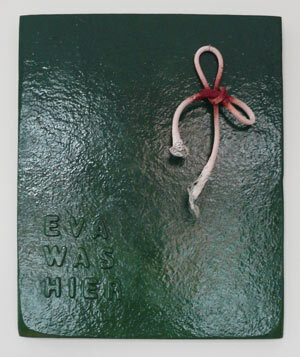 This work was a response to discovering the work of Eva Hesse and the realisation that there was art, a lot of it, being made now, not only by women, but art that went beyond the dictates of modernism. Eve had been and had left her mark in the garden. 2008 Threads of the Day Leids Wevershuis (Leiden Museum of Weaving), Leiden, The Netherlands. 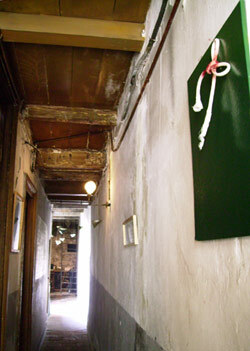 1992 Graduation Exhibition, Maastricht School of Visual Arts, Maastricht, The Netherlands.